Before You Build: It is the customers responsibility to locate and inform the installers on site of any underground cables or lines of any kind. Power lines must be 10 feet above the peak of the roof or be deactivated during construction. Make sure building site is clear of any tree limbs that would obstruct constructions before the installers arrive. Installers require a minimum of 18 inches of room all the way around the structure. IF not, please send pictures of installation site. (exception will be considered on a case by case basis). Horizontal Roofs: Horizontal roofs are only warrantied up to 36′ in length and are not recommended to go beyond 51′ in length. All Horizontal Roofs between 37′ & 51′ in length will require a waver signed at the time of order. Building Site: Land MUST be level, if the installers arrive on site and surface / foundation is not levelled there will be a labor fee applied to final balance. Labor Charges: Any site improvements, leveling, excavating, draining, retaining, etc. performed by Seller or its contractors will be billed separately to Buyer and Buyer agrees to pay for such improvements. Buyer must be aware that if install location is more than 100’ away from where the crew must unload, there will be an additional fee. Buildings that have paneling on side must have 18” around the building area to be able to enclose. If 18” is not available extra labor may be done with an additional fee. Reflective Insulation / Vapor Barrier: (reflective RV 15.67) Available at an additional cost. 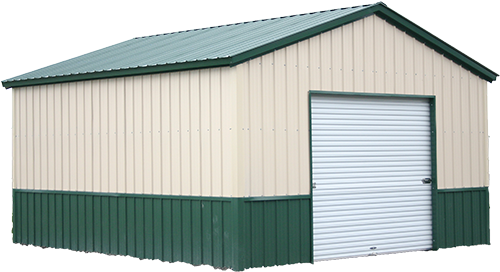 (We highly recommend insulation on all enclosed buildings). Note: Fully enclosed buildings that are not insulated will have condensation and daylight coming in throughout the entire building. Request fact sheet for more info. Build Over’s: If the structure is to be built on any wall, dock or other base 12 inches and taller or installed over an existing structure, there will be an additional charge. Example: hot tubs, travel trailers, generators, kennels, stem walls, ecology blocks. Wind Anchors / Ground Supports / Double legs: Additional Wind Anchors are required if the customer wants their building to be certified to 105 MPH wind. If your ground is excessively rocky or hard, to were installers are un-able to install anchors, a restocking charges may apply. Note: The manufacturer will not be liable for building collapsing or sustaining damaged due to wind if the customer declines to purchase additional wind anchors for 105mph or ground supports or double legs. Higher wind speed certifications available upon request. Special ground supports: (prevents carports from swaying), are recommend for open or partially open buildings taller than 8’. Double legs: Recommended for buildings over 12ft tall. Wavier available. Local Requirements: All Steel NW makes every effort to have accurate estimates. However, customers do not always supply us with all the information necessary. We will not be responsible for price changes due to new information. Product Pricing: We have set prices for every building we sell and every customer pays the same price. This is our promise; your neighbor will not pay less than you. 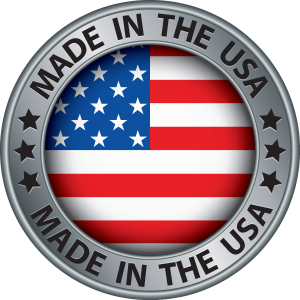 (except for any sales offered by the manufacturer at the time of order). Therefore mistakes & typos will not be honored. NOTE: In most cases, we will MATCH any competitors price on IDENTACAL buildings. Authorized Dealership: We are an authorized dealer for Dreams Carports I Inc. and Pacific Metal Buildings. Our prices are set by the manufacturer, we do NOT mark up prices, you will not be charge a “middle man fee”. Complaints and Repairs: If you are not completely satisfied you must contact the All Steel NW and or the manufacture within ten days of the installation date. Island Installs: Delivery to islands without bridges may have additional charges. Make sure to inform your sales rep before you order. Scheduling: Once your building is ordered and the deposit made, scheduling will call you one to two weeks in advance and go over your order and give you the time and day of your installation. NOTE: The manufacture does not charge for delivery, times are approximate, if the installers finish a job early, they may call you the day before or if the installers get delayed at a customer’s house, they may show up later than scheduled. Delivery times vary by area and time of year. Ask your sales rep for current delivery times in your area. Building to Code: All Steel NW will not be responsible for any permits or restrictions. Building permits, if required: are the sole responsibility of the purchaser. Please refer to your local building department for more information. If you choose not to order an engineered Building you agree to hold harmless All Steel NW from any action including but not limited to any costs of related to and including, engineered drawings, additional anchors, permits, requirements and or restrictions. Questions: Please direct any questions you may have to your sales rep.